1/2 Inch PEX Female Swivel Adapter. 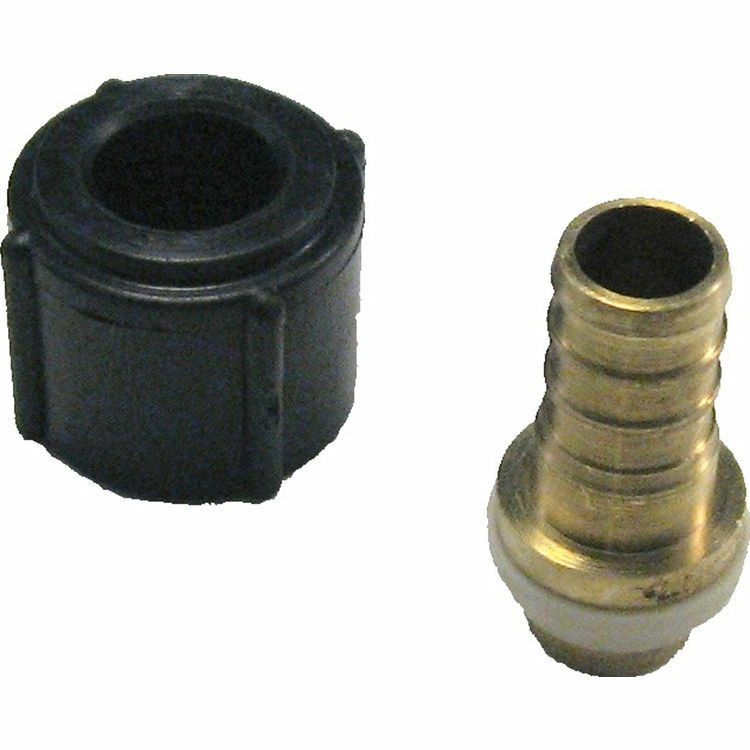 This particular fitting is a PEX Female Swivel Adapter fitting for PEX Tubing applications and has a solid brass construction. The fitting has two connection ends; a 1/2 inch barbed connection on one end and a 1/2 inch female swivel adapter connection on the other. Its brass construction provides durability for strong connections that can withstand the everyday wear and tear that a fitting goes through. Brass fittings are becoming more popular than the common plastic ones due to a longer life and less worry from accident happening due to the fitting either cracking or completely breaking. This fitting can also be used with other types of Polyethylene tubing (PEX itself is a form of Polyethylene tubing). Plumbing applications that will use this fitting include, but are not limited to Potable Water transportation, chemical transportation, hydronic radiant heating and cooling systems. It is very important to note that in order to properly secure the fitting to the tubing, a crimp ring is necessary in order to create that worry free connection.